Polycom audio conferencing equipment uses Polycom's legendary audio quality, optimized for groups of people. 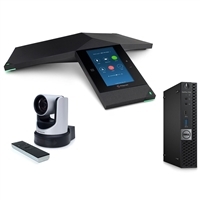 Polycom conference phones including Polycom RealPresence Trio are used by enterprises around the world for their excellent sound, connectivity and ease of use. Polycom microphones including Polycom SoundStructure installed audio solutions provide HD audio for mobile or room-based deployments. 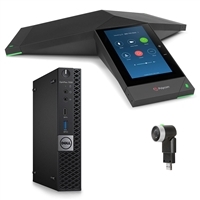 Conference calls with Polycom IP audio conferencing equipment connect you to clients and colleagues. IP Phone Warehouse is an authorized online reseller of Polycom audio conferencing equipment.